Dürer created this single panel altarpiece for the wealthy merchant Matthäus Landauer. It was for a chapel of an institution founded by the merchant. The chapel was dedicated to the Holy Trinity. The first sketch for the picture was made in 1508. The artist depicts himself in the earthly zone in the manner of a secondary portrait. 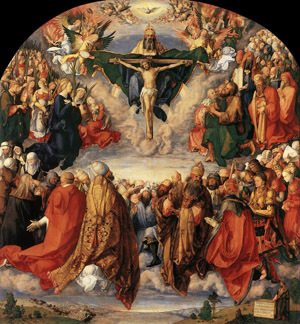 The client is the only layperson portrayed in the group of clergymen on the left, and he is being received into the heavenly community by a cardinal. 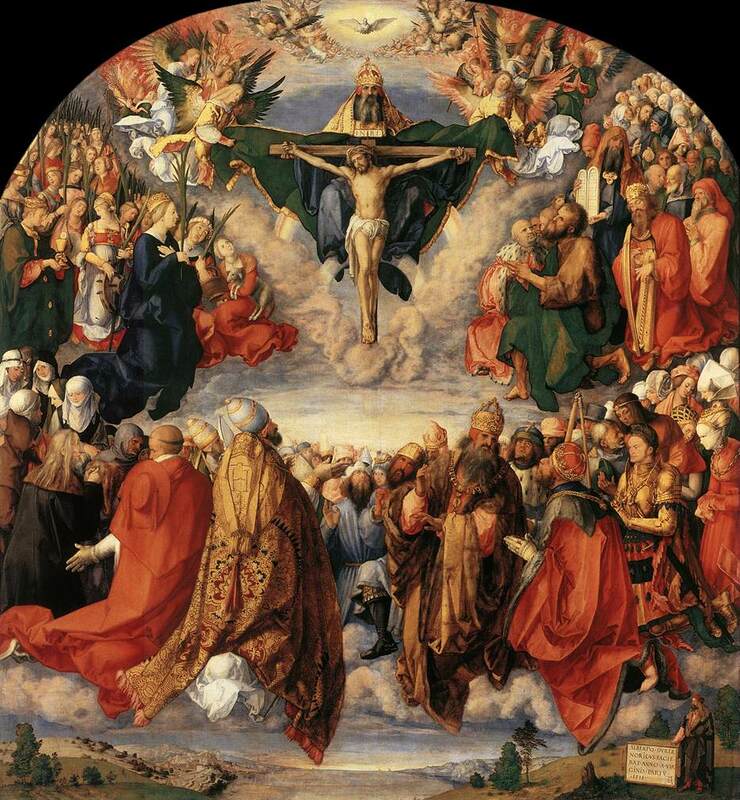 It may be considered as the apotheosis of Durer`s work for the Roman Catholic Church.